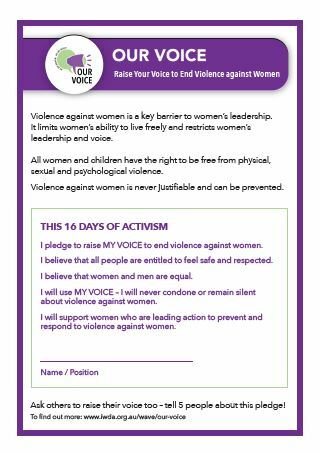 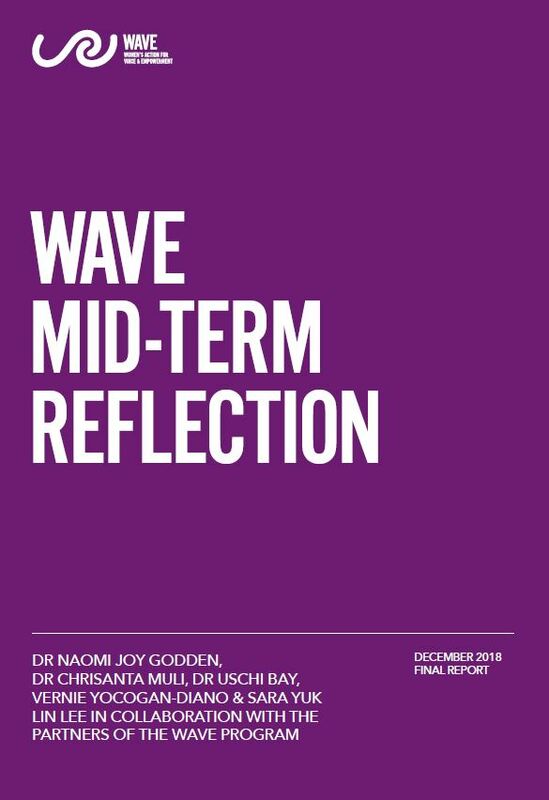 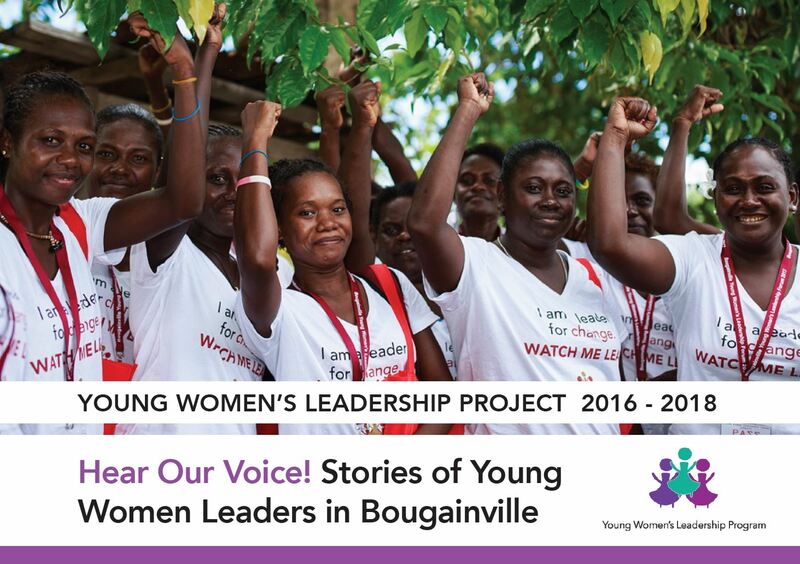 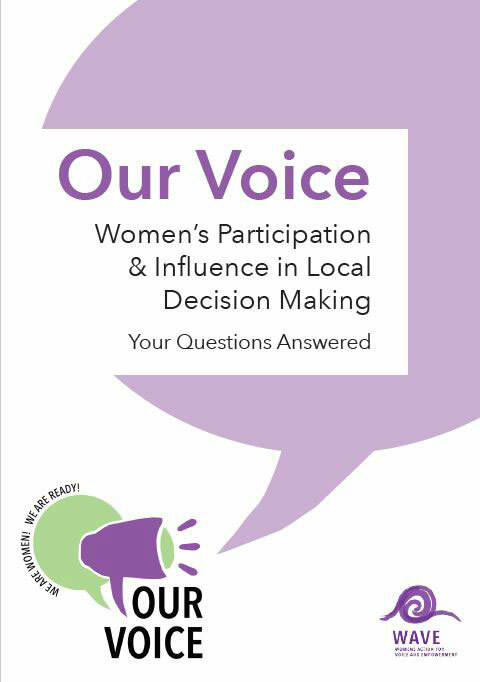 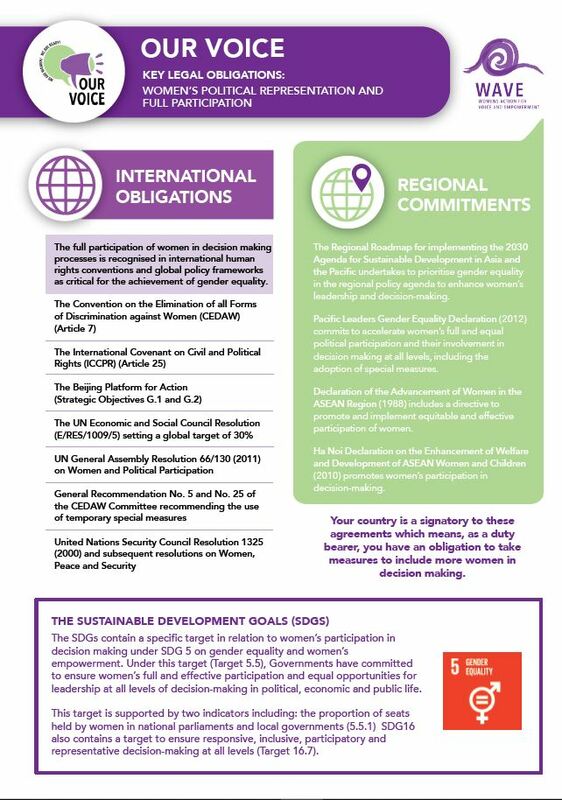 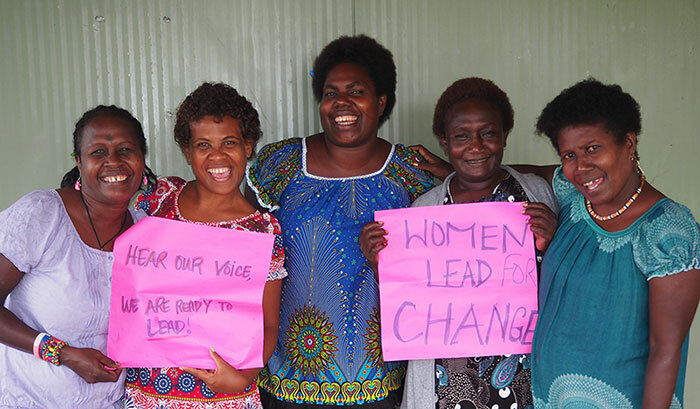 Our Voice is a Women’s Action for Voice and Empowerment (WAVE) funded campaign, working to increase the representation and effective participation of women, with a broad commitment to gender equality and women’s rights, in decision making at local levels across Asia and the Pacific by 2020. 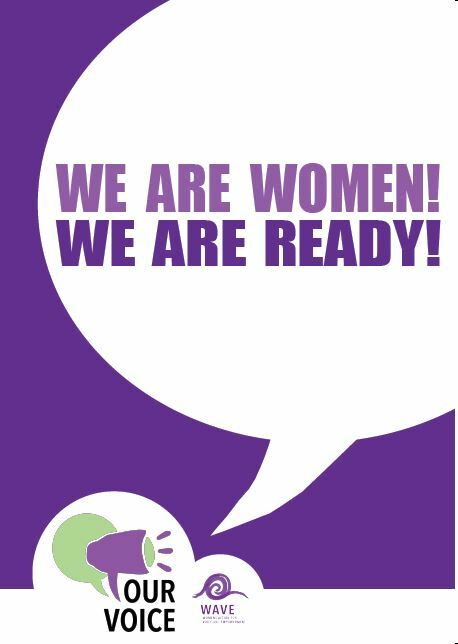 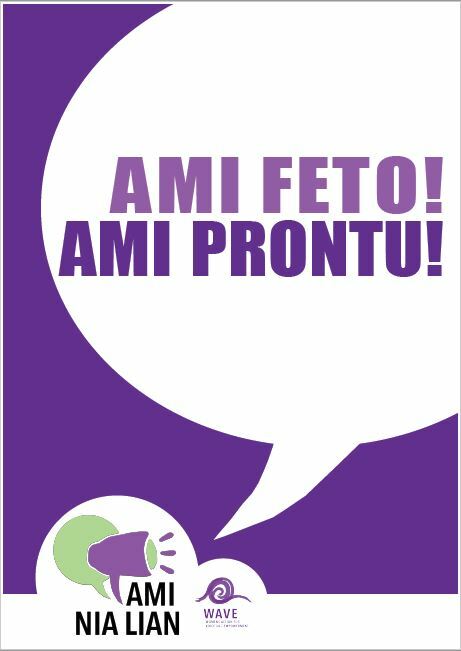 Demanding Women’s Representation in Local Level Leadership! 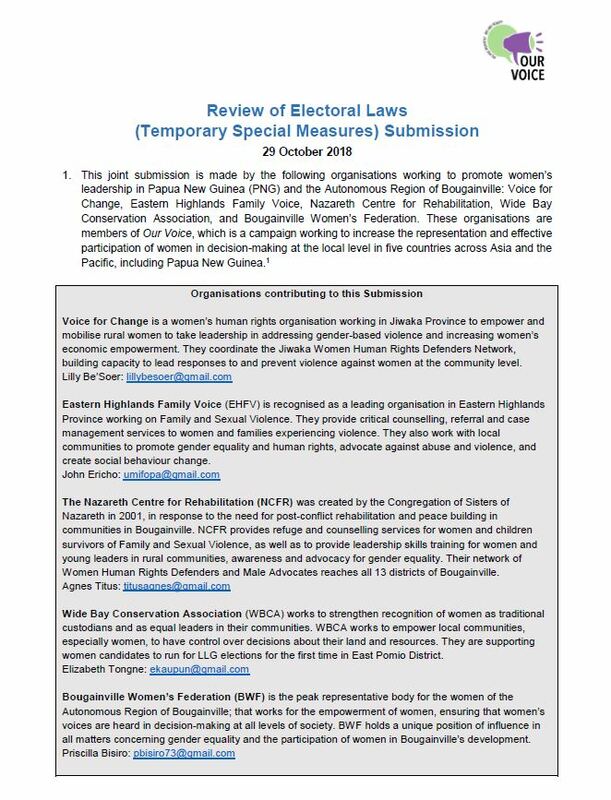 In November 2018, the Review of Electoral Laws Submission (Temporary Special Measures) was submitted to the Papua New Guinea Constitutional and Law Reform Commission by Voice for Change, Eastern Highlands Family Voice, Nazareth Centre for Rehabilitation, Wide Bay Conservation Association, and Bougainville Women’s Federation. 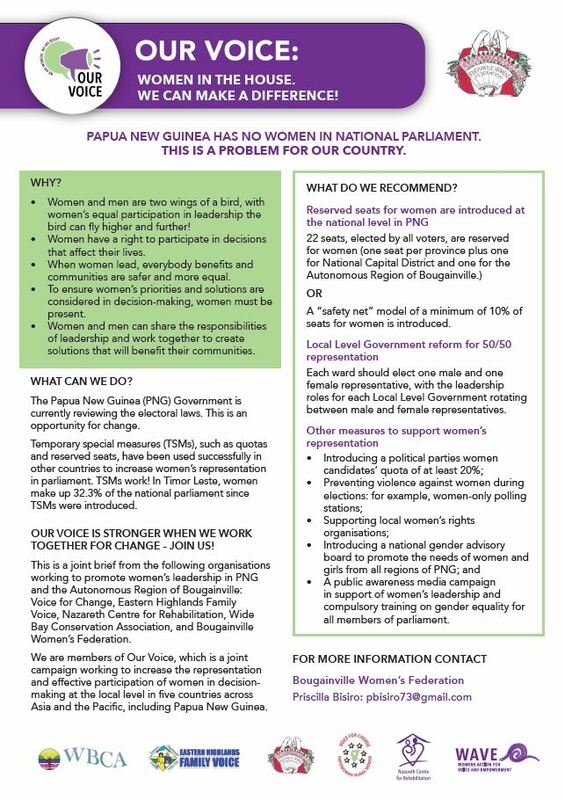 The Submission advocates for the introduction of Temporary Special Measures (TSMs) in Papua New Guinea. 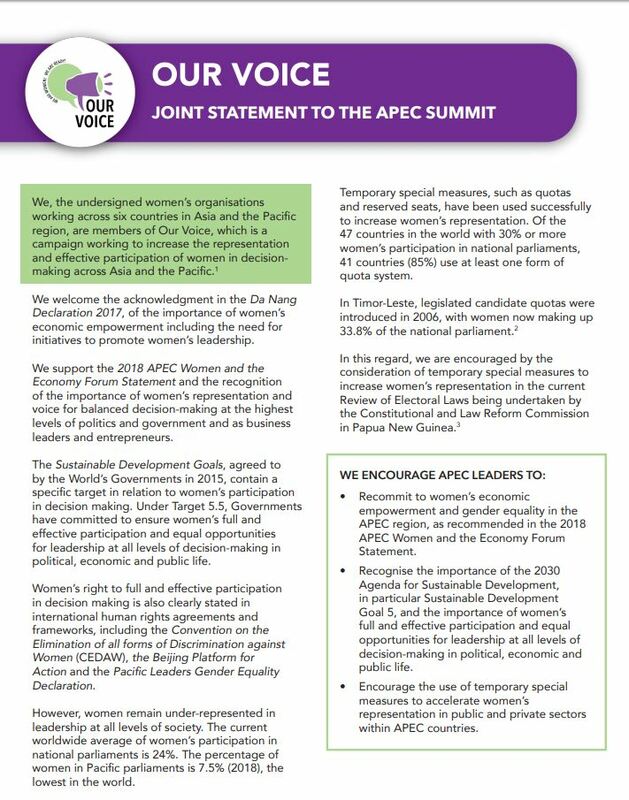 A joint statement from Our Voice partners to the 2018 Asia-Pacific Economic Cooperation (APEC) Summit. 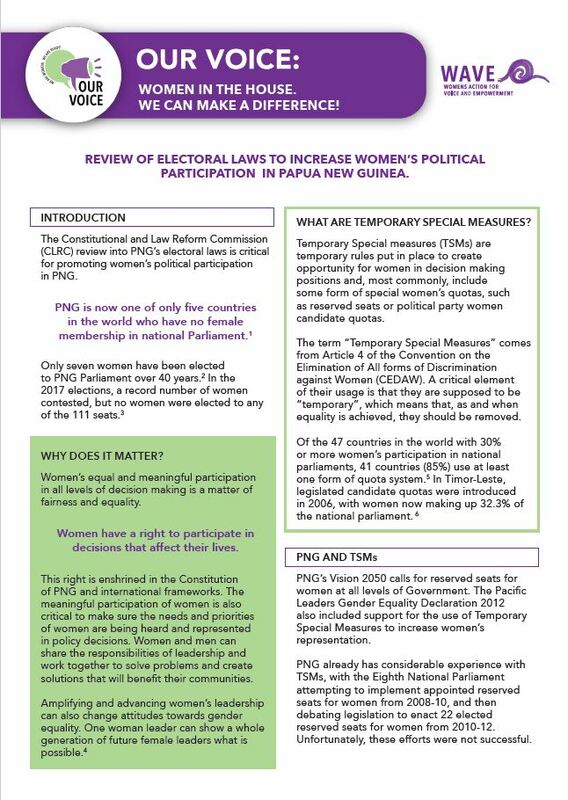 A four-page brief on the Temporary Special Measures for duty bearers. 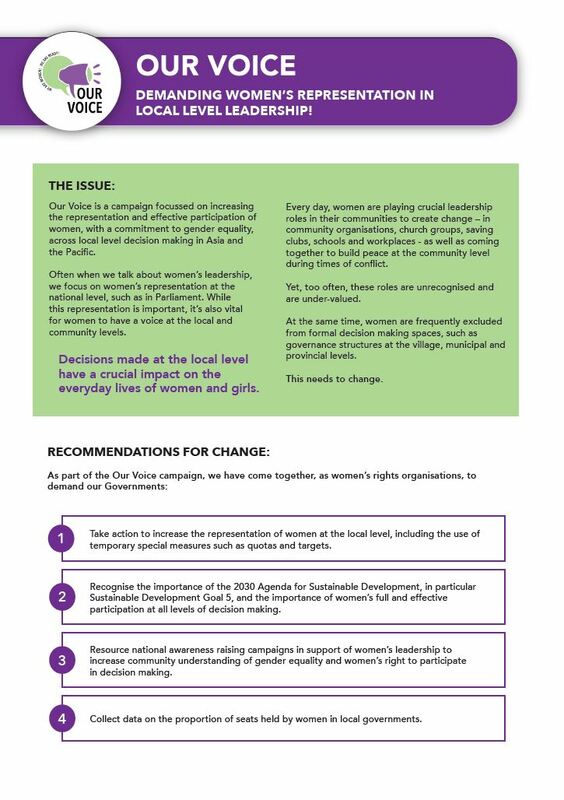 A one-page brief on the Temporary Special Measures for community members. 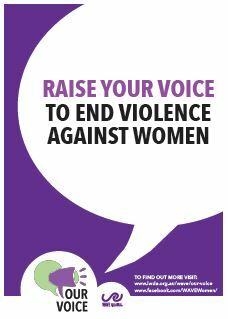 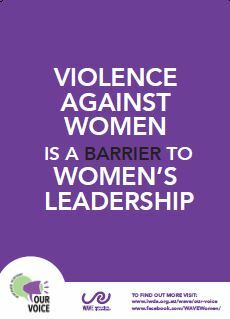 One in three women globally will be subject to gender-based violence in her lifetime. 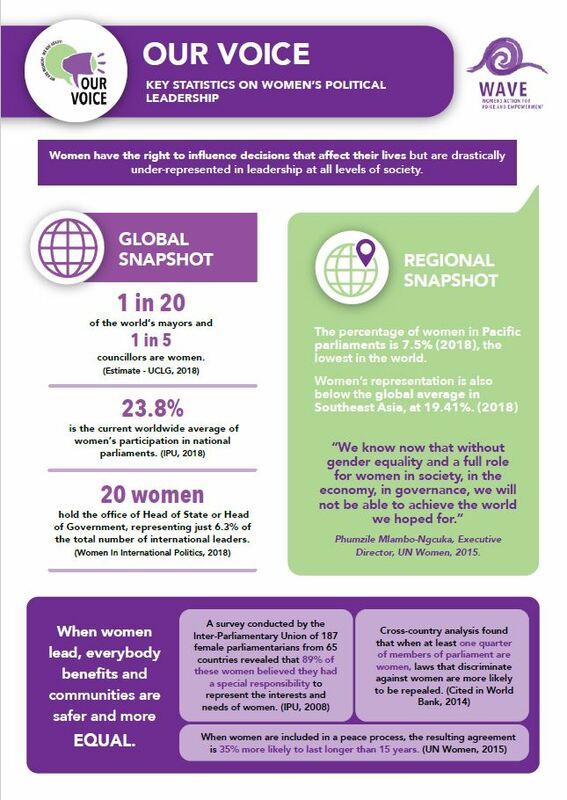 At the same time, women remain significantly under-represented at all levels of political decision making. 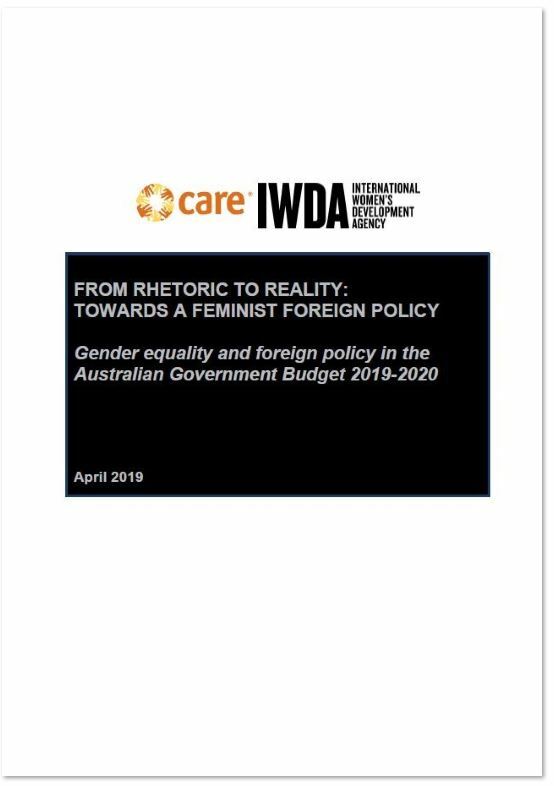 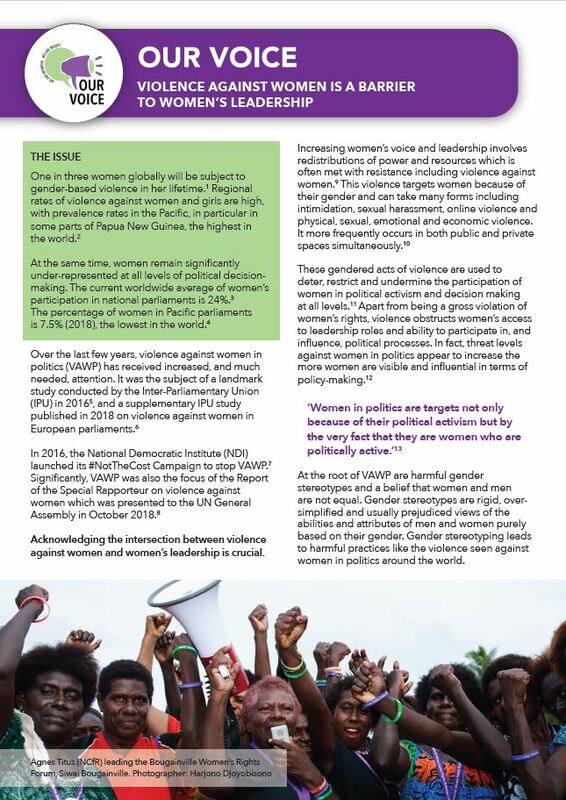 The under-representation of women in political leadership also impacts on the ability of governments to respond to and prevent violence against women.